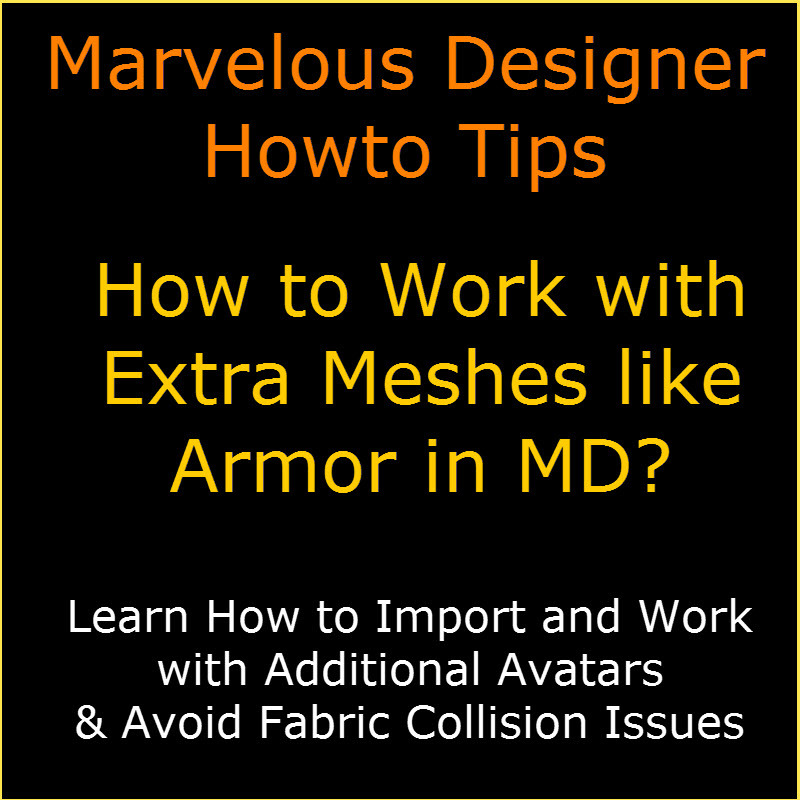 In this article I’ll share some tips on importing and working with additional meshes such as armor etc in Marvelous Designer. 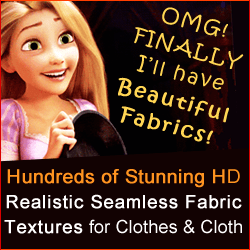 This is the same regardless what version of Marvelous Designer you’re using, Marvelous Designer 4, 5, 5.5 etc. To add parts like armor etc, you’d need to bring the extra meshes in as either an OBJ or Collada. Or you can import them by going to File -> Add -> Avatar. When importing the extra mesh using the first way, you’ll need to select that it is an ‘Avatar’ not a ‘Prop’ in the import dialog box. If you say it’s a Prop, the fabric will not interact with it and instead of colliding with it, it will go right through it like it doesn’t exist. Only Avatars interact with the fabric (unless you right click and select ‘deactivate Avatar’ – which can be useful sometimes). Note: There is currently no way to attach an imported additional Avatar or Prop (or even frozen pattern for that matter) to the main Avatar to do things like animation or change the Avatar’s poses. The best thing if you need to animate or change poses, is to import your human Avatar first without the armor, so it’s easy to design and simulate the clothes in MD on the Avatar. Then import the same Avatar with the armor parts as part of it. Make sure the armor is at a slight distance from the Avatar’s skin. It’s important to leave enough room for the clothes to fit underneath the armor without colliding with the armor, or being forced to burst through it if they have no room between Avatar and armor. Since your Avatar was imported with armor as part of it, you can now pose the Avatar (of course only if it was rigged), or apply animation data to it and animate it. If it’s a small, simple thing like a leg strap you want to add over the pants to take them in, I’d recommend you don’t import an ‘Avatar’, but create a placeholder in MD instead. It is often much easier to create most things in MD as placeholders and later replace them with fancy modeled parts. For leg straps for instance, that’s easy to make with a pattern with a thickness setting, elastic settings and a layer number to go over the pants (and if needed tweaking the physical property settings to make it stiffer/harder). If importing the armor as an Additional Avatar, you may need to lower the skin offset on it to avoid fabric collision issues that may arise. 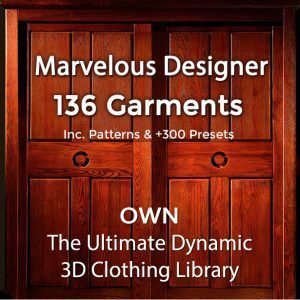 Go here for free Marvelous Designer tutorials and tips. Any other questions? Ask us on our FB page. I hope you’ve enjoyed these Marvelous Designer Avatar howto tips.